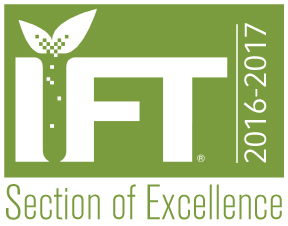 Each year, the Minnesota Section of IFT awards scholarships to outstanding food science graduate and undergraduate students. These student scholarship awards are given to encourage volunteer service, leadership, academic achievement, professional development and to support research in Food Science. We encourage all students studying food science to apply! Application Deadline: Completed applications (including letters of recommendation) must be submitted by end of day on Thursday, February 28, 2019. Student Classification: Applicants must have student status within the 2018-2019 academic year. Applicants must be current student members of MN IFT. Please join us in recognizing the achievements and successes of our student members! What's In Your Milk? Does education alter milk drinking habits? Emily Scinocca, Ordean Middle School,Why doesn't birch bark rot? DO NOT MISS THIS OPPORTUNITY TO BE NOMINATED TO THIS HONOR SOCIETY! Student nominees for Membership should be pursuing a degree program in Food Science or an equivalent, and should have a current Grade Point Average (GPA) equal to or greater than 3.5 out of 4.0, or equivalent. Student nominees for Membership should indicate the number of credits completed toward the degree and the total credit requirement for the program. Student nominees should be pursuing a Food Science degree and should have completed course work in all three of the core areas of study: Food Chemistry and Analysis, Food Safety and Microbiology, and Food Processing and Engineering. Information on course work and competencies in the core areas of study within Food Science must be completed. Graduate students nominations should not be submitted until the student has completed at least two semesters of the graduate program. The statement of qualifications should be written in third person. The statement of qualifications for students should focus on recognitions, honors and other academic achievements. The statement of qualifications for any student with a GPA less than a 3.5 should provide other evidence of academic achievements to justify the nomination. The statement of qualifications for students pursuing programs of study other than those meeting the IFT Education Standards should provide evidence of the program's content in Food Chemistry and Analysis, Food Safety and Microbiology, and Food Processing and Engineering. The statement of qualifications for Food Science and Technology professionals should clearly illustrate how contributions of the nominee in his/her professional positions have distinguished the nominee from other professionals with similar professional experiences.